A Frame and A Tree - Jill Ruth & Co.
Well, continuing on with my dried flower projects....I decided to try my hand at forming chicken wire. I think this stuff sure has some great potential. 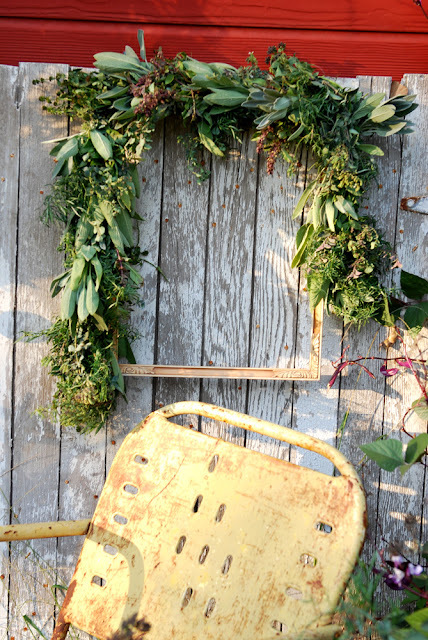 I think you could use it to shape your own wreaths. I futzed with it until it was a cone or tree shape. 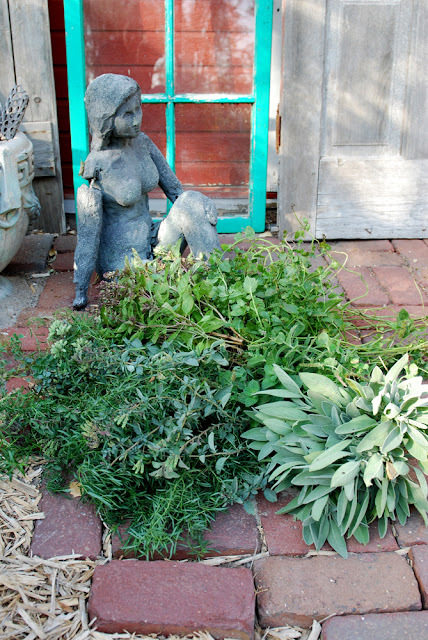 I picked a pile of herbs and began tying them in little bundles. 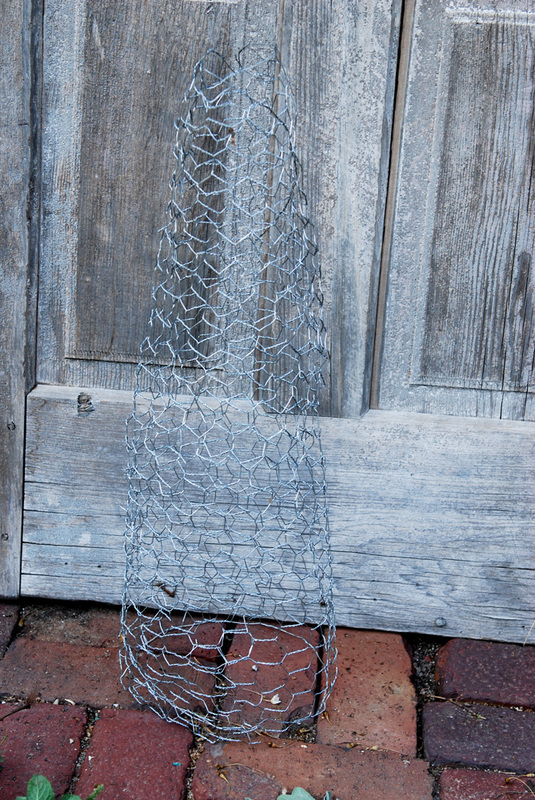 And then, tied the bundles on to the wire tree. Adding the bundles around and around until it was full. It's drying now and waiting for the mums that I posted about yesterday. Then I found one of my rough frames and decided to make a dried herb frame instead of a wreath. I thought that it looked kind of nice asymmetrical and without the herbs going all around. Oh, if you could keep it fresh like this all of the time! 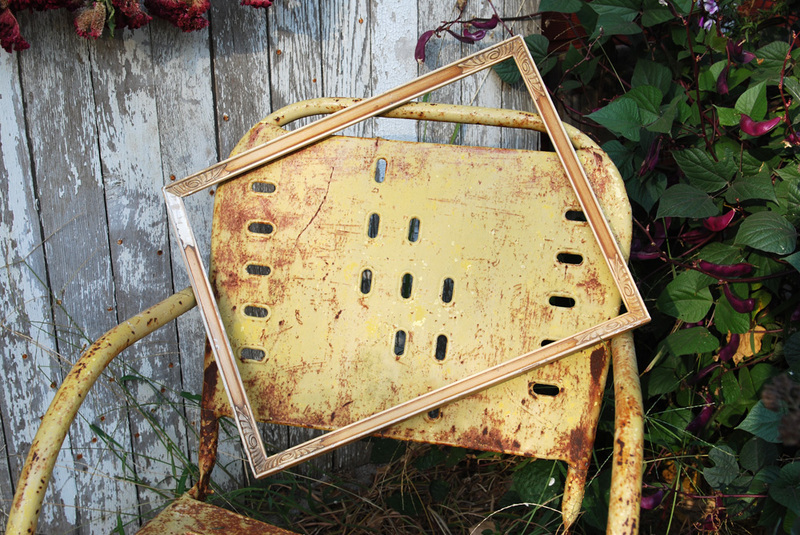 This way, I can leave some of the pretty molding on the frame exposed. The herbs covered up the chipped pieces of molding. Kind of a good situation, huh? I'll take pictures after they are dry. I made these last week sometime and so far the drying process is looking good. I know I'll need to secure them all again as they shrink. 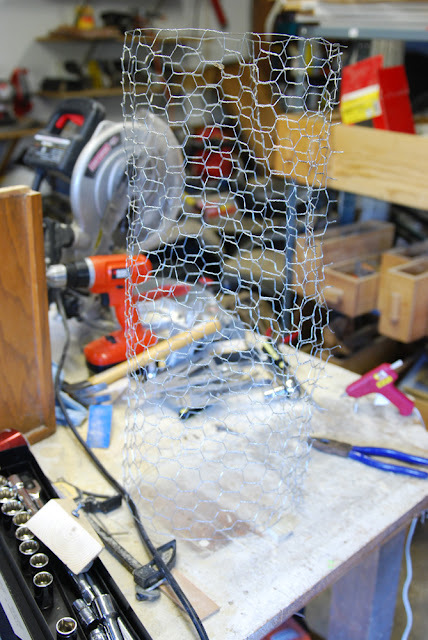 Do you all have stories of how you use chicken wire? 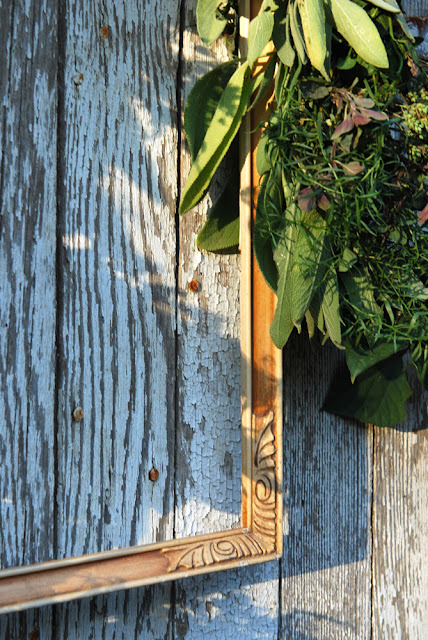 I love the dried herb frame! Very pretty. I love both of these. 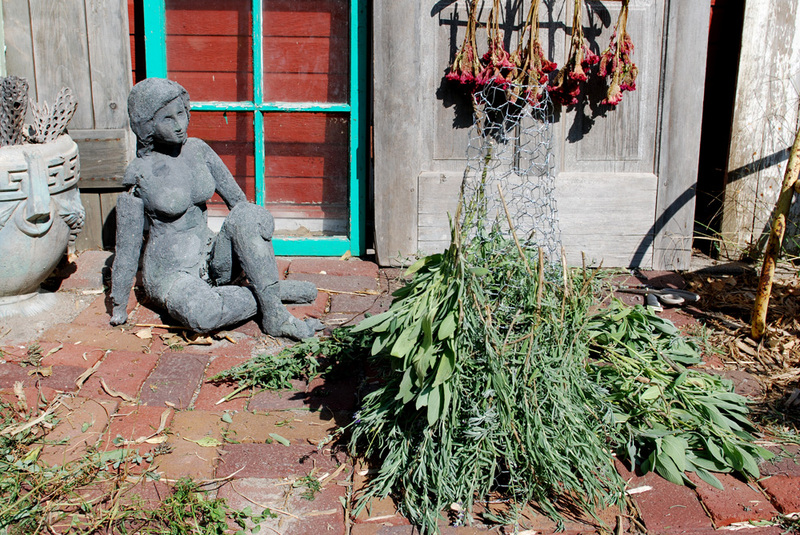 I have tons of sage out in the garden. You're giving me ideas! so beautiful and natural ... I still remember your herb wreath from last year! I wish I could say we used chicken wire for chickens - how I would love to have some of those! She Said She Wanted to Crochet!